When Brittany Ellis walks into chemistry class on the first day of senior year, she has no clue that her carefully created perfect life is about to unravel before her eyes. 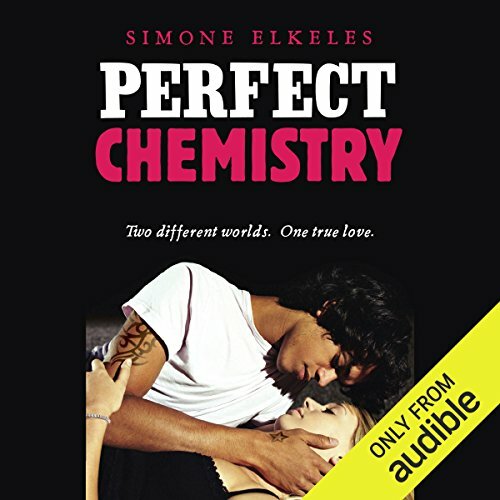 She's forced to be lab partners with Alex Fuentes, a gang member from the other side of town, and he is about to threaten everything she's worked so hard for her flawless reputation, her relationship with her boyfriend, and the secret that her home life is anything but perfect. Alex is a bad boy and he knows it. So when he makes a bet with his friends to lure Brittany into his life, he thinks nothing of it. But soon Alex realizes Brittany is a real person with real problems, and suddenly the bet he made in arrogance turns into something much more. In a passionate story about looking beneath the surface, Simone Elkeles' breaks through the stereotypes and barriers that threaten to keep Brittany and Alex apart. ©2008 Simone Elkeles (P)2009 Audible, Inc.
Carlos Fuentes doesn't want any part of the life his older brother, Alex, has laid out for him in Boulder, Colorado. He wants to keep living on the edge, and carve his own path - just like Alex did. Unfortunately, his ties to a Mexican gang aren't easy to break, and he soon finds himself being set up by a drug lord. When Alex arranges for Carlos to live with his former professor and his family to keep him from being sent to jail, Carlos feels completely out of place. Luis Fuentes has always been sheltered from the gang violence that nearly destroyed his brothers' lives. But that didn't stop him from taking risks - whether he's scaling a mountain in the Rockies or dreaming of a future as an astronaut, Luis can't stop looking for the next thrill.